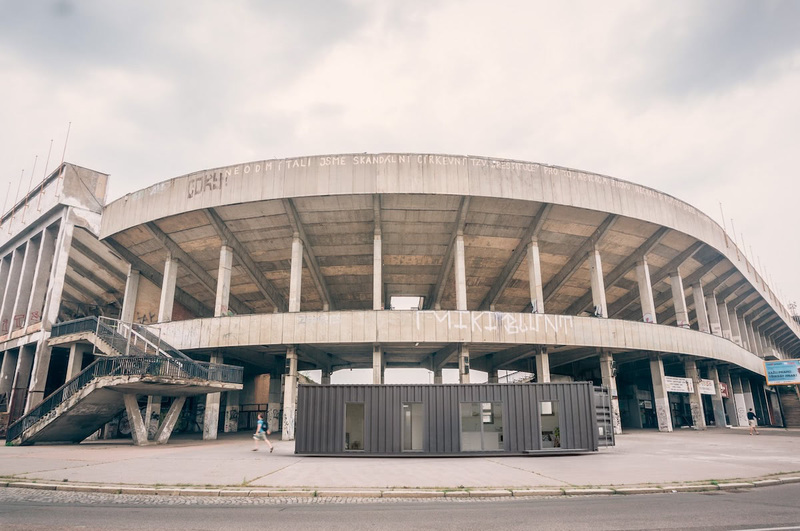 built from up-cycled shipping containers. Introductory pricing includes the Unit, All Internal Systems (Electrical, Water, Plumbing, and HVAC), Standard Amenities & Appliances. State-of-the-art meets minimalism. 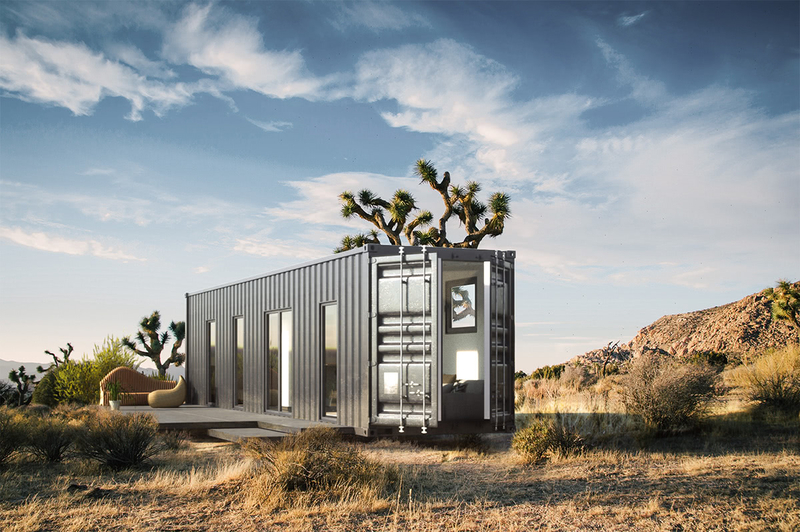 The Luckdrops Studio+ is meticulously designed and features the latest in modern amenities and comfort at a fraction of the size and cost of traditional homes. 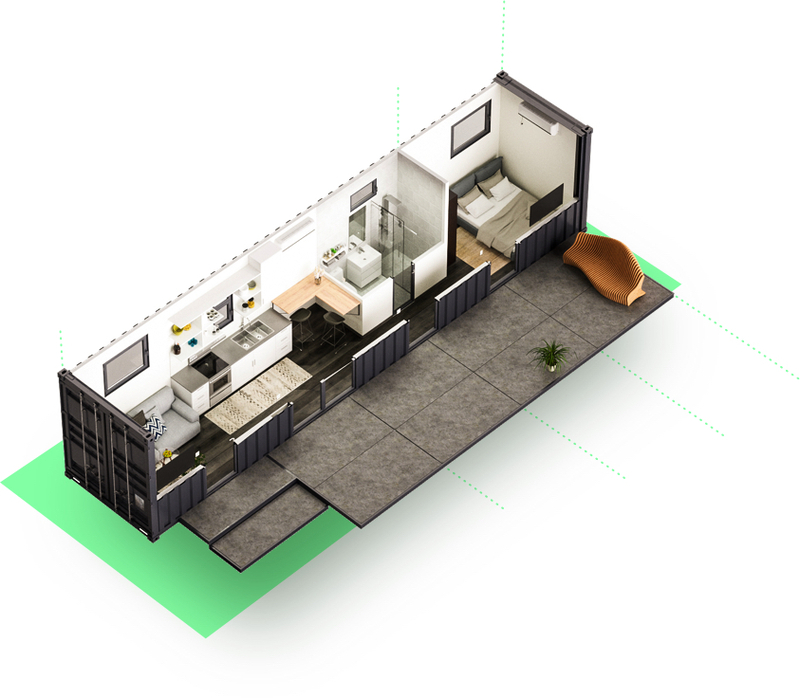 Every detail is planned to maximize space and efficiency. 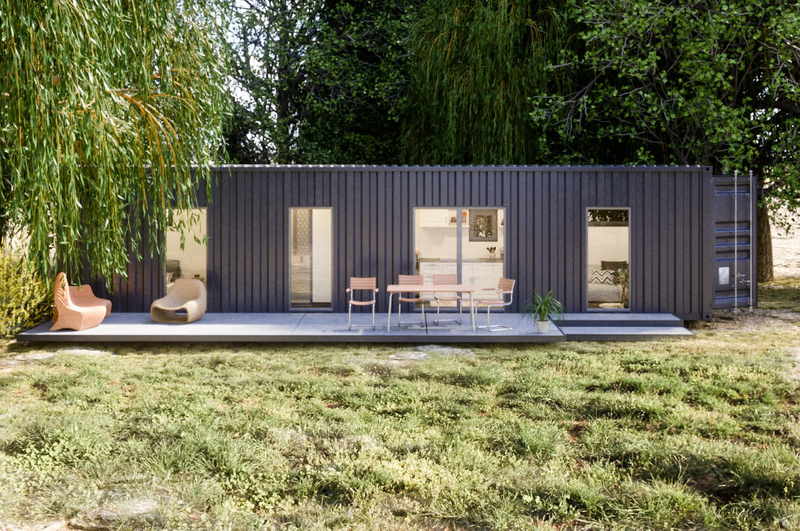 Designed to provide multi-purpose living space that extends from inside to outside. Just open the cargo doors to flood your home with natural light and fresh air. The living room fits a two- seat sofa, flat-screen TV, and a coffee table. It’s wired for TV, internet, and enough outlets to plug in all of your devices. Streamlined kitchen and dining room seats two and features a dual-use cooking area and countertop bar. Includes everything you need to cook gourmet meals at home: Double-bowl, stainless-steel sink, pull-out kitchen faucets, and a free-standing GE electric range and oven with ventilating range hood. Stylish finishes include granite backsplash, modern recessed lighting, and tilt-and-turn windows. Snuggle up in your climate-controlled quarters. Bedrooms are semi-private and large enough to accommodate a full-sized bed, wardrobe, lamp, and nightstand. Equipped for TV and phone (optional) and designed to maximize natural light. Full-sized bathroom offers all of the comforts you need and expect, including a standing shower with massage jets, rainfall shower head, and a standard pull-out shower handle. Granite tile floor and walls, along with a ceramic-art wash basin and UPC-certified, dual-flush toilet. 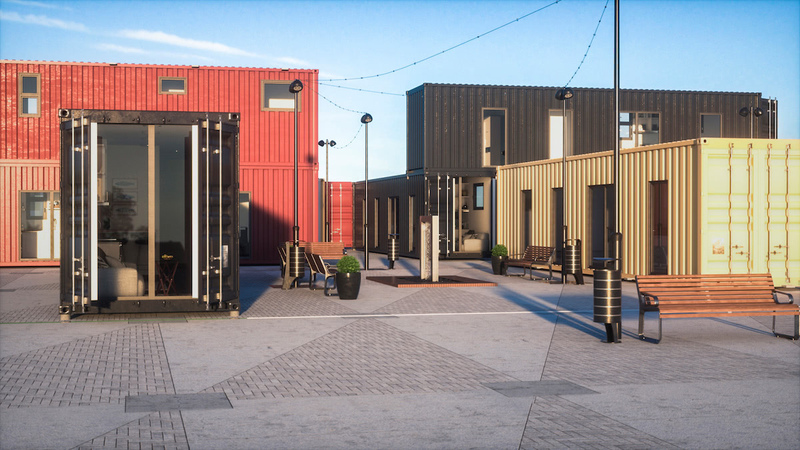 Built from rigid steel, our homes are incredibly strong and secure. Strong enough to withstand wind, fire, snow, earthquakes, floods, and just about anything else you can throw at it. Third-party inspectors verify that every Luckdrops Studio+ unit meets or exceeds all applicable building codes. 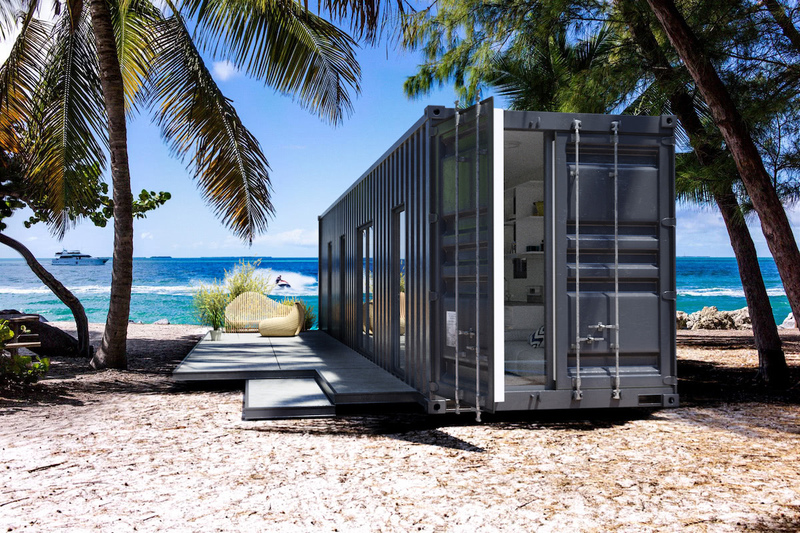 Each Luckdrops home is built with one of an estimated 11 million unused shipping containers worldwide, recycling approximately 3,500kg of steel. 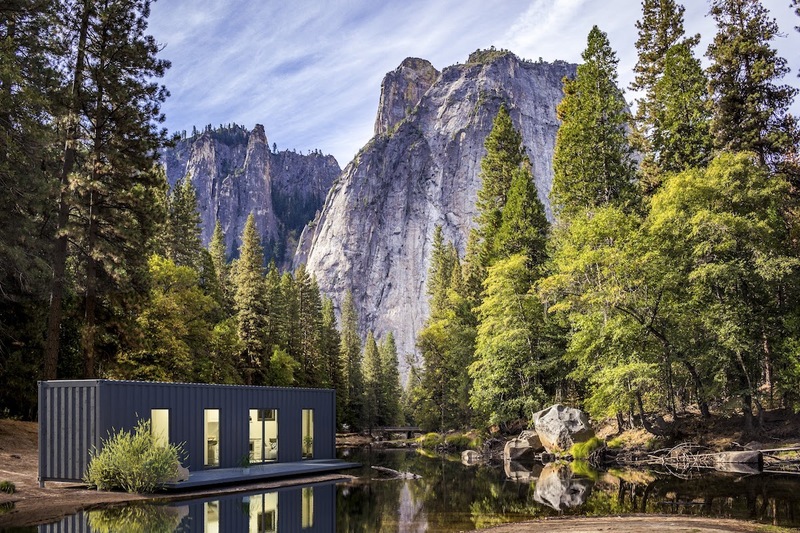 It’s carefully designed to have a smaller size and environmental footprint than other housing options.